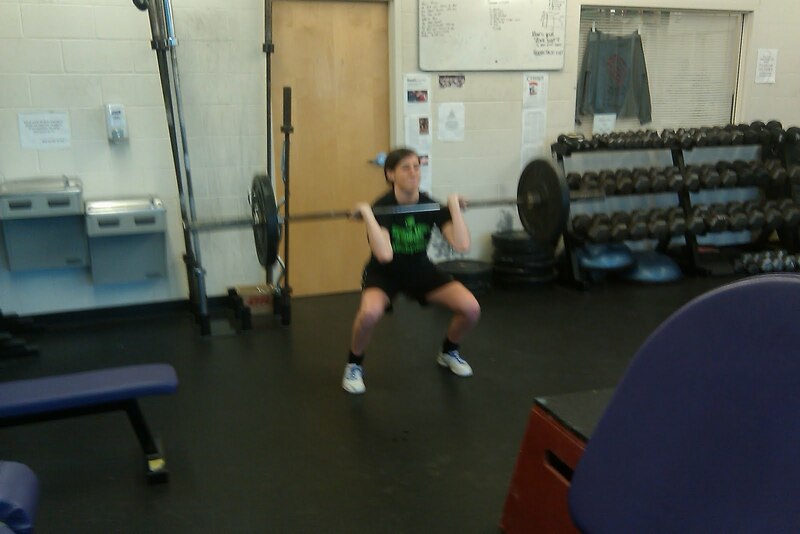 5 One leg squat (5 Left, 5 Right) Get low. 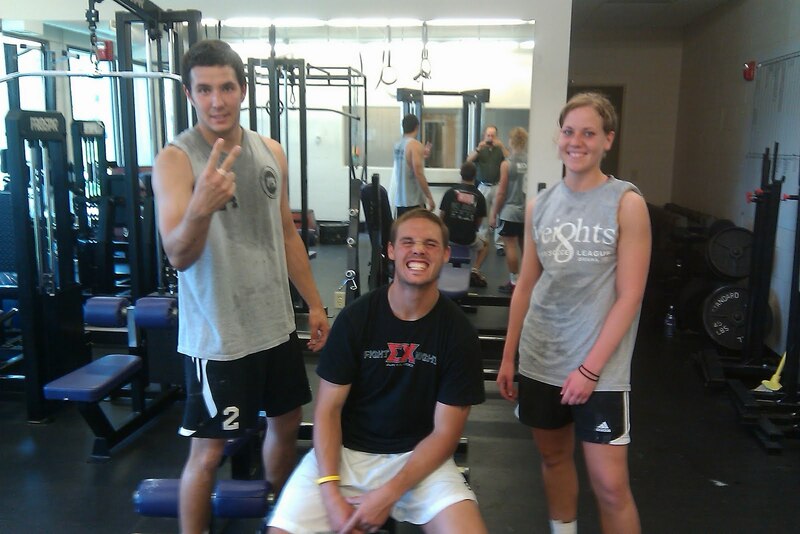 Leon, Kyle and Val at BU Crossfit. 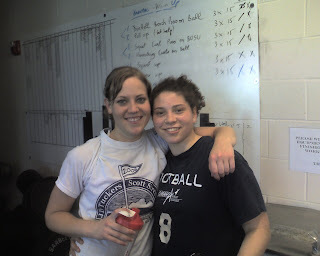 "Fallen but Never Forgotten," a CrossFit Journal article. Samuel Barber, Adagio for Strings. "Reflections on Memorial Day" by Mackubin T. Owens. 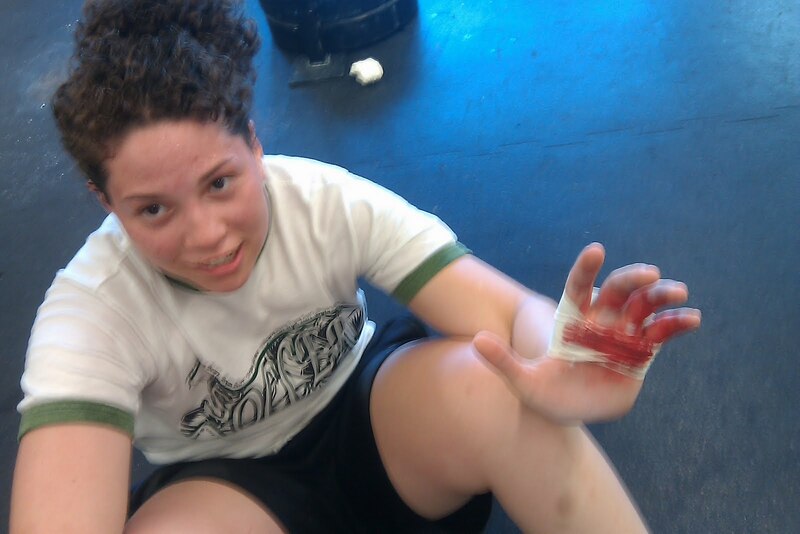 Mel needed more tape, tough day for the hands, reminder, do the warm up. 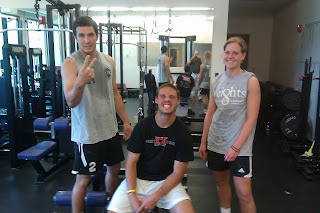 For the L-sit, accumulate 60sec. 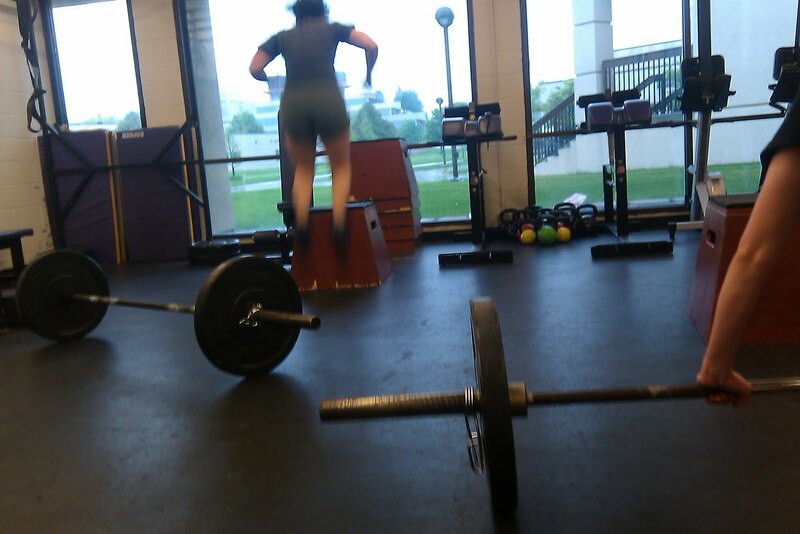 For the Good mornings and Back extensions, minimize rest over speeding the movement. For the Abmat sit-ups (substitute a rolled-up towel if needed), feet unanchored with soles together. 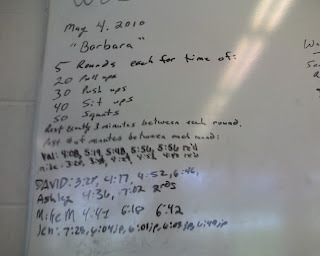 YouTube Good mornings if you do the WOD off campus. Manny is back, Welcome back Manny, we hope you enjoyed the easy day! 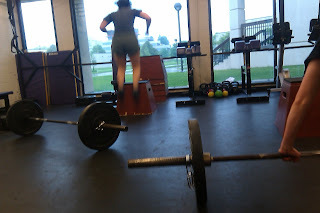 Mel on the box jumps and Jenica working on the Front Squat at BU CrossFit. 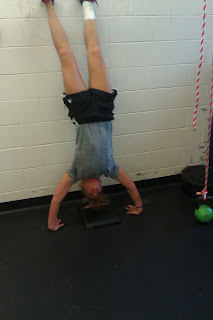 A better picture of Val and the Hand Stand Push Up at BU CrossFit. Val demos her Hand Stand Push Ups. 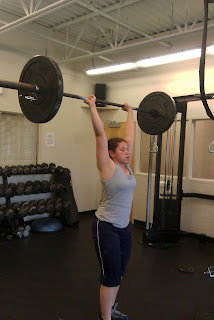 Melissa working on the Clean and Jerk at BU CrossFit. "How you start is important, very important, but in the end it is how you finish that counts. It is easier to be a self-starter than a self-finisher. The victor in the race is not the one who dashes off swiftest but the one who leads at the finish. In the race for success, speed is less important than stamina. The sticker outlasts the sprinter in life's race. In America we breed many hares but not so many tortoises." Eric Siegel 22:19. Post time to comments. Mozart - Linz Symphony I - Kammerphilharmonie Graz - Achim Holub, conductor. James Thurber - "The Greatest Man in the World"
The Evolution of Privacy on Facebook by Matt McKeon. 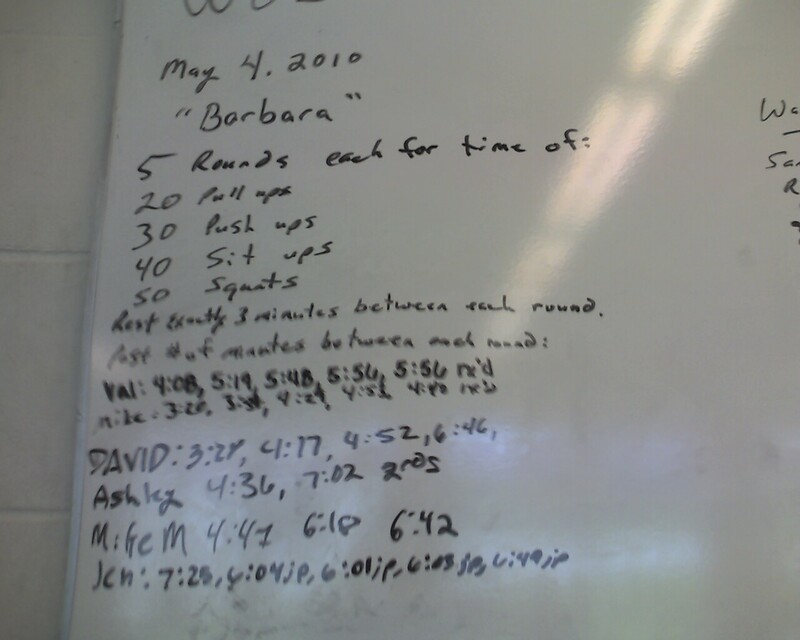 Ashley and David at BU CrossFit. "We shall never have more time. We have, and have always had, all the time there is. No object is served in waiting until next week or even until tomorrow. Keep going day in and out. Concentrate on something useful. Having decided to achieve a task, achieve it at all costs." Charles Dickens - "No. 1 Branch Line: The Signal-Man"
"Who Owns the First Amendment?" by Michael Kinsley, The Atlantic. The standard for the sit-up is feet anchored, back of the hands touch the ground above your head on the bottom, and hands touch the anchor at the top. No Abmat. Val and Mel relax after a day at BU CrossFit. 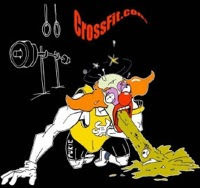 Eric Magee trains for the Northeast Regionals by CrossFit Again Faster- video [wmv] [mov]. Rob Orlando 65lbs, 75lbs, 85lbs, 95lbs(f), 95lbs(f). 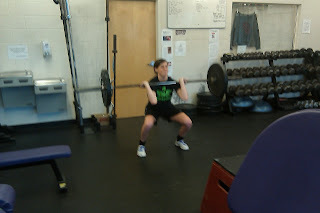 In a properly executed front squat, the load is born entirely by the shoulders, and not at all by the hands and fingers. "No student ever attains very eminent success by simply doing what is required of him; it is the amount and excellence of what is over and above the required, that determines the greatness of ultimate distinction." Anthony Bainbridge deadlifts 600lbs at a body weight of 166lbs -Vimeo. "The great secret of success in life is for a man to be ready when his opportunity comes."